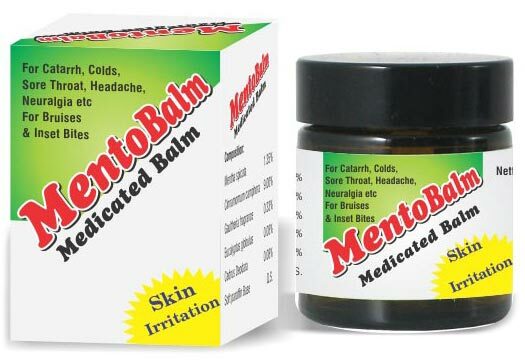 MentoBalm Medicated Balm that we offer is highly effective in sore throat, headache, neuralgia, skin irritation etc. We are one of the leading Manufacturers, Exporters and Suppliers of Mentobalm Medicated Balm. Due to our widespread network, it has been an easy job for us to deliver retail as well as bulk orders for MentoBalm Medicated Balm within the promised time frame. One can obtain MentoBalm Medicated Balm from us at a very reasonable price.